Can this pricey KitchenAid kettle achieve the perfect pour? 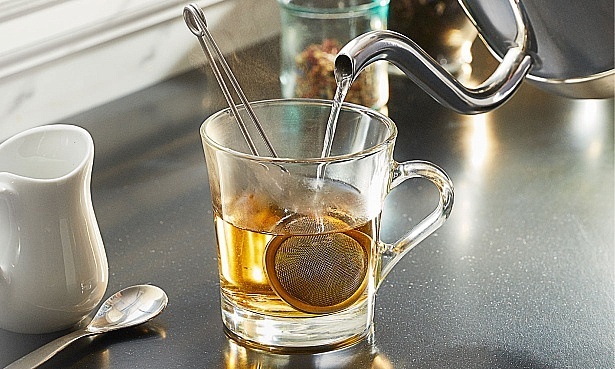 Fancy a kettle that takes your tea to the next level? The retro-look KitchenAid Digital Precision kettle is designed for perfect drinks prep, whether you’re making a standard brew, green tea or filter coffee. But at 10 times the price of a basic kettle, is this extraordinary looking kettle one to consider? The unusual gooseneck spout is the first feature to catch your eye on this kettle, but it’s more than just a style statement, according to KitchenAid. There’s a lever to change the rate of the water flow, and its design is meant to facilitate a smooth, drip-free pouring motion. There’s also an LED display on the base where you can choose different temperature levels depending on the drink you’re making (some herbal teas and coffee are better brewed at lower temperatures), or keep water warm for 30 minutes. If you’re a coffee fan, the Precision kettle might appeal. The lower flow rate is meant to be good for pourover filter coffee, as you can gradually soak the grounds without drowning them. Medium is for tea, and the faster flow rate is for french press or cafetiere coffee. Can this fancy KitchenAid kettle get the basics right and boil quickly and efficiently? Get our verdict in the full KitchenAid Digital Precision kettle review. KitchenAid isn’t the only manufacturer making a splash with its premium kettles. We’ve recently tested three new DeLonghi models that could add an on-trend touch to your kitchen, whether you want a bold glossy colour pop to brighten up your worktops, or a stylish metallic shimmer finish. 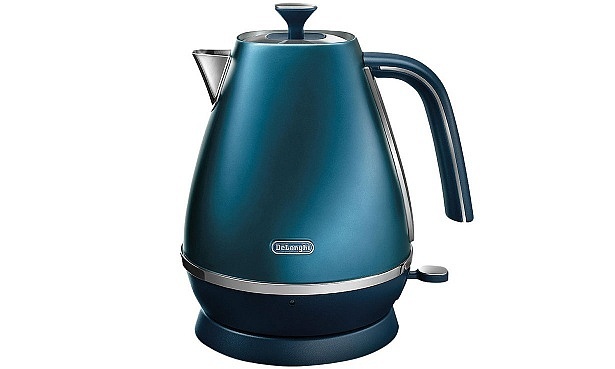 All are an update of classic DeLonghi kettles, and can hold 1.7 litres of water – enough for six to seven cups of tea. DeLonghi Icona Capitals kettle – choose from a range of capital-inspired colours including ‘Tokyo’ red, ‘London’ blue and ‘Sydney’ white. ‘New York’ yellow gives a nod to the famous taxis and taps into one of 2019’s most hotly tipped colours. DeLonghi Simbolo kettle – has a textured geometric pattern, adding a striking twist to your worktops. It’s also available in black. 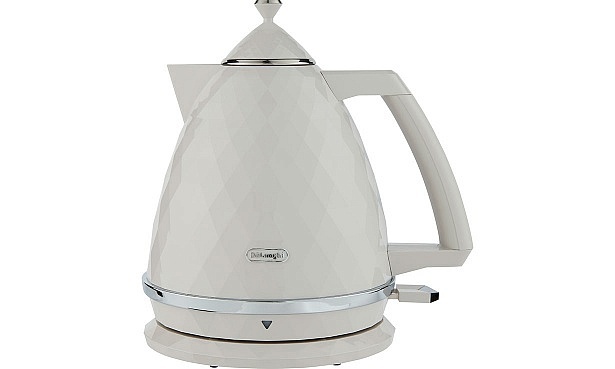 DeLonghi Distinta Flair kettle – an update on the popular Distinta range. The painted stainless steel comes in different metallic finishes: ‘prestige’ blue, ‘allure’ green, ‘finesse’ silver and ‘glamour’ red. They may be winners in the style stakes, but are any of them good enough to earn our Best Buy recommendation? 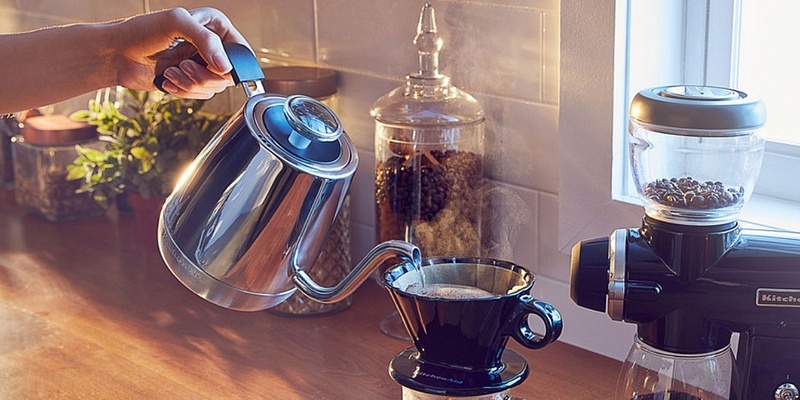 Find out which kettles made the cut in our definitive list of Best Buy kettles. Is it worth paying a premium for a kettle? Kettle costing £35 or more tend to be more stylish and have a high-end finish, usually brushed stainless steel or glass. Some have extra features, such as heating water to different temperatures – or an audible alert when the kettle boils. Unfortunately, paying more is no guarantee that you’ll get a brilliant kettle. More than half of our Don’t Buy kettles – models which are so poor at their core job we recommend you avoid them – cost more than £80. Despite their elegant exteriors they either take an age to boil, waste energy or are awkward to use. Two recently tested premium kettles are Best Buys, but others disappointed – one is the slowest kettle we’ve tested for years. A pricey kettle won’t necessarily last for longer either. Kettles are one of the least reliable appliances you can buy, but we found some budget brands fared surprisingly well when we asked Which? members how long their kettles lasted.